A tour on Empress Elisabeth’s footsteps. At the Sisi Monument in the Volksgarten we get to know Elisabeth of Bavaria (“Sisi”) who, upon her marriage to Emperor Franz Josef, became the well known and beloved Empress Elisabeth of Austria. We visit the Imperial Apartements in the Hofburg, its splendid halls and the private rooms of the imperal family, including the bath and exercise room of the beautiful weight conscious Empress Elisabeth (entrance fee to be paid). In the adjoining Sisi Museum we will learn more about the tragic life of Sisi, who was assassinated at the age of 61. 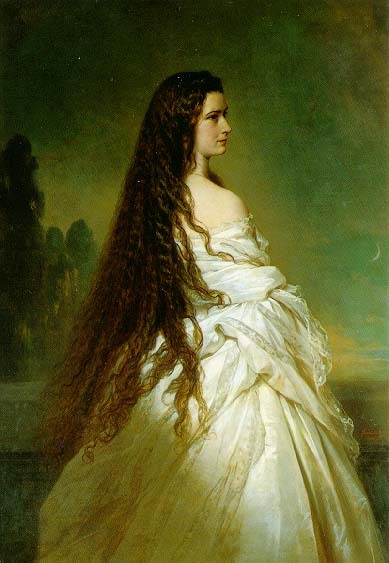 “The soul never existed that was congenial to mine” (Empress Elisabeth of Austria). The myth of Sisi’s everlasting beauty still prevails.